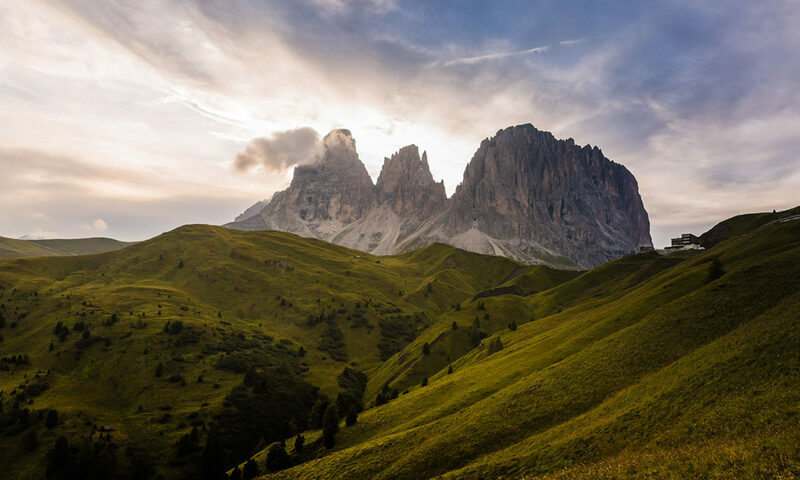 My name is Michael (aka Wongie) and I’m an avid runner, amateur photographer and a recent Guinness World Record Holder along with my 3 good friends. Join me on this little adventure! Reflections of the fastest 4 person caterpillar to run a marathon! It was my second time to Brno, I had spent an afternoon in Brno the previous month and thought I had seen everything I needed to in town. I decided to make a second trip on an offer from a friend, Jiří, who graciously offered to take me around his favorite spots in town. During the first evening, we ended up heading to one of his jobs at an upscale Hookah bar. This is where he introduced me to Eliška, a budding local photographer that just graduated university. She took one look at my camera and we instantly started geeking out, the rest of the night was over photography and unusual and cool things to check out when in Brno. She said if I am interested in vintage cameras, I need to check out the Café Flexaret just outside of the city center. 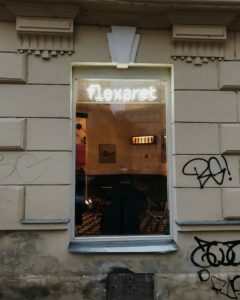 CafeFlexaret in Brno, Czech Republic – A vintage camera themed cafe for camera and coffee lovers alike. I arrived at the cafe the next day, unsure what to expect. The cafe has a vintage diner feel with large display cases full of old cameras and and Flexaret branded TLRs (Twin Lens Reflex) . 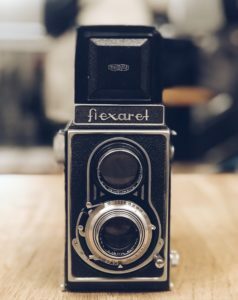 I had never heard of Flexaret before, but Eliška later explained that this is a Czech camera brand that was made in the former Czechoslovakia, which peaked my interested. Being a camera themed coffee shop, we spent the afternoon flipping through an encyclopedia of vintage cameras, day dreaming about what kind we would collect if we had infinite money (and storage space). One thing led to another and told me there’s another shop that I must check out that sells some old TLR’s that I might be interested in. 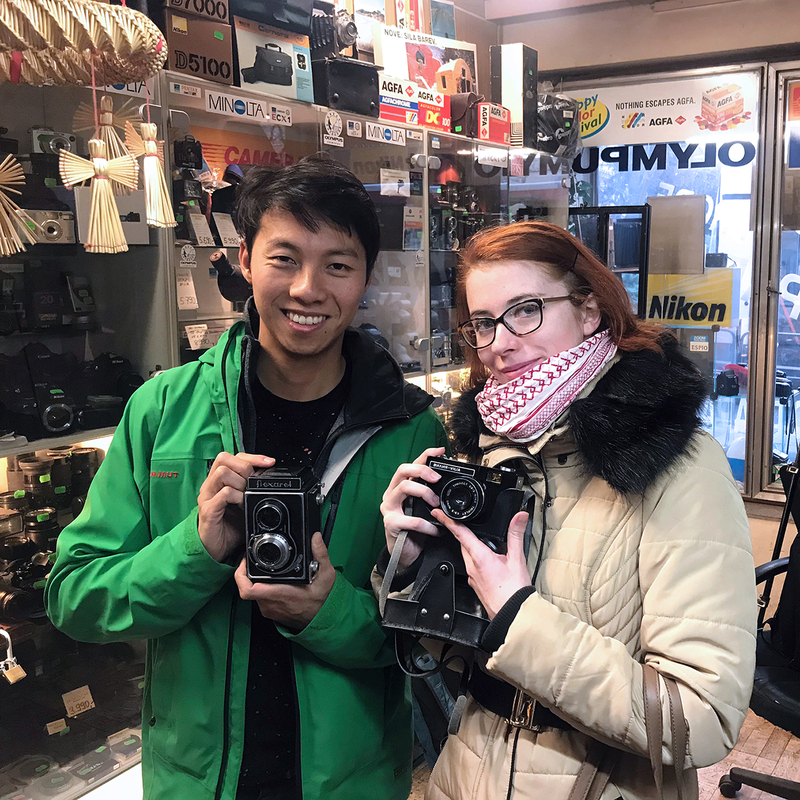 Entering Antikfoto, you are instantly greeted by large glass shelves filled with old film and digital cameras, barrels of camera covers and a workbench where the owner works on camera repairs. It was like a little museum with the carefully laid out displays, loads of photography memorabilia including vintage pins from photography conferences and camera brands. I spent the afternoon looking through the display cases and knew I could not leave without making some sort of a purchase here. A day well spent, Eliška and I both ended up walking out with cameras from Eastern Europe. 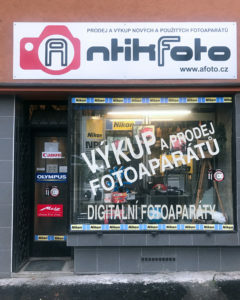 A very nice shop to check out if your journey takes you out to Brno, Czech Republic. There are not the lightest souvenirs to bring home, but there’s a satisfaction in finding these little gems while you are backpacking across Europe.